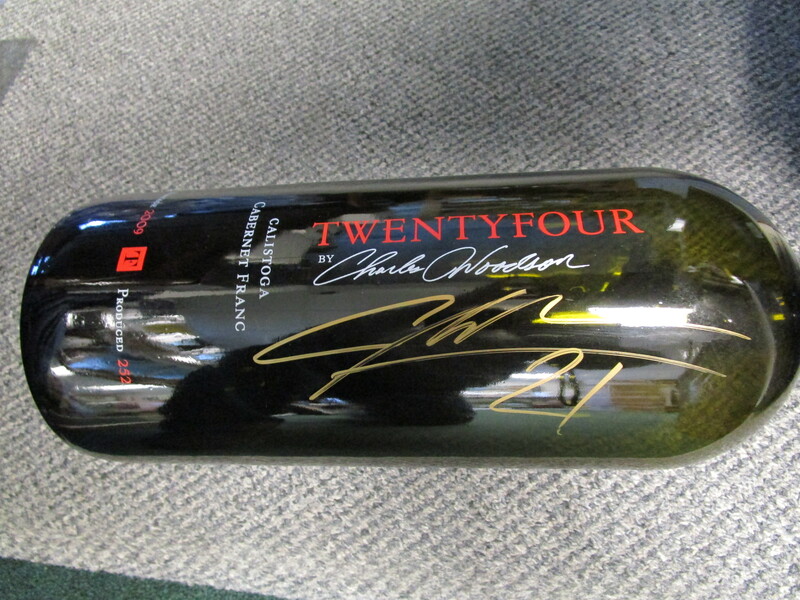 We are offering this Scarce Three Liter Size Autographed Charles Woodson "Twentyfour" Wine Bottle. 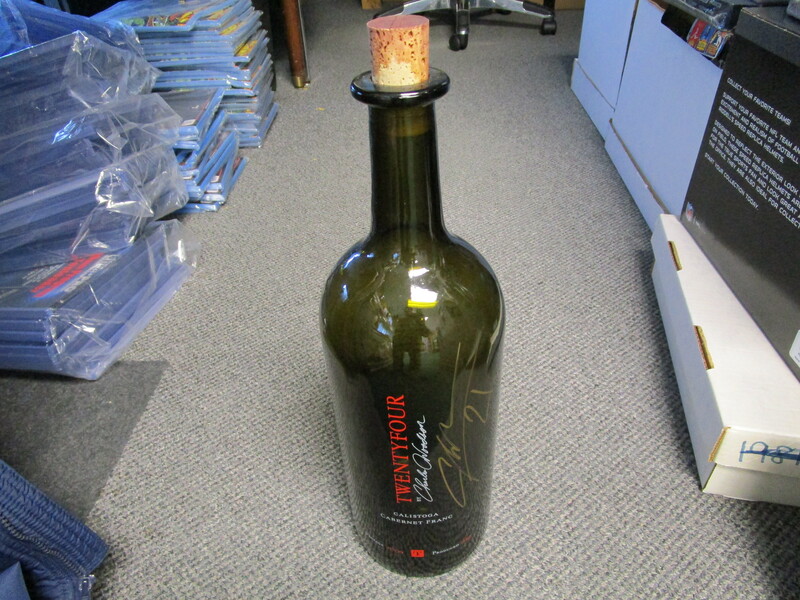 Bottle measures 16" high and has Charles Woodson Autograph in Gold Sharpie. LOA from JSA. Bottle is a 2009 Vintage Calistoga Cabernet Franc from Charles Woodson Wines of Napa, CA. Bottle is empty.